It’s been a few days since I got my hands on my Kickstarter backed Twist Bullet pencil from Metal Shop CT and HuckleBerry Woodchuck. Right out of the envelope I noticed two things. First the blue and silver combo I picked out is AWESOME. It looks stunning. the shade of blue is fantastic. Secondly, the white eraser was crooked. 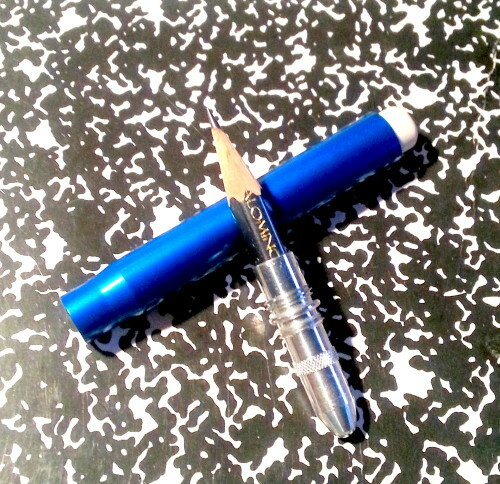 Because I’m neurotic I took the eraser out and screwed it back in a couple of times only to realize that the base of it was cut crooked and thus couldn’t really be made straight. I grabbed an emery board and filed the end of it flat, then screwed it in again. Success. 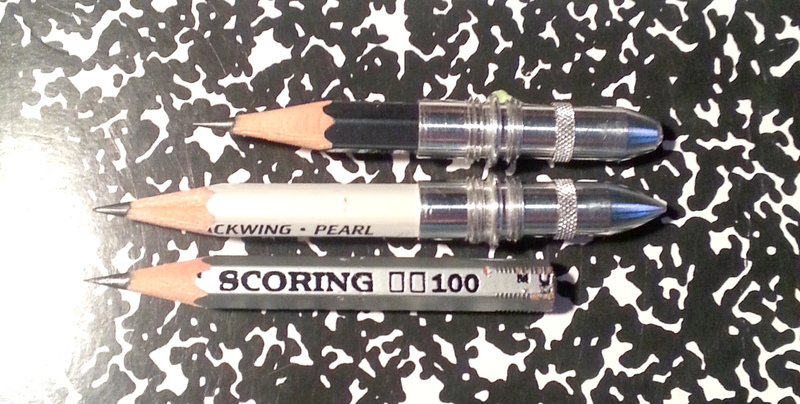 It now sits perfectly aligned with the body of the pencil. The white with the blue is great. I’m not too ecstatic about the eraser material itself. It’s a serviceable white plastic of unknown variety, it does the job relatively well. Thus far it has not fallen out in my pocket even when I’ve walked about in the city or to the train. I can say that the threads do a fine job of what they are supposed to do- grip that eraser and hold it in. 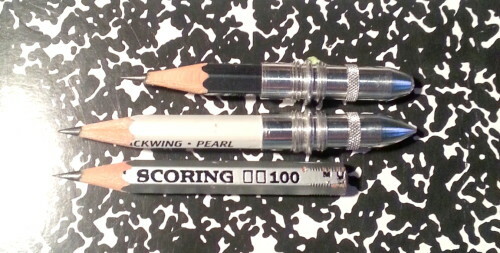 I do think that I’ll eventually upgrade to a metal cap to hold in the clip because I carry a block or stick eraser with me all the time and use that. 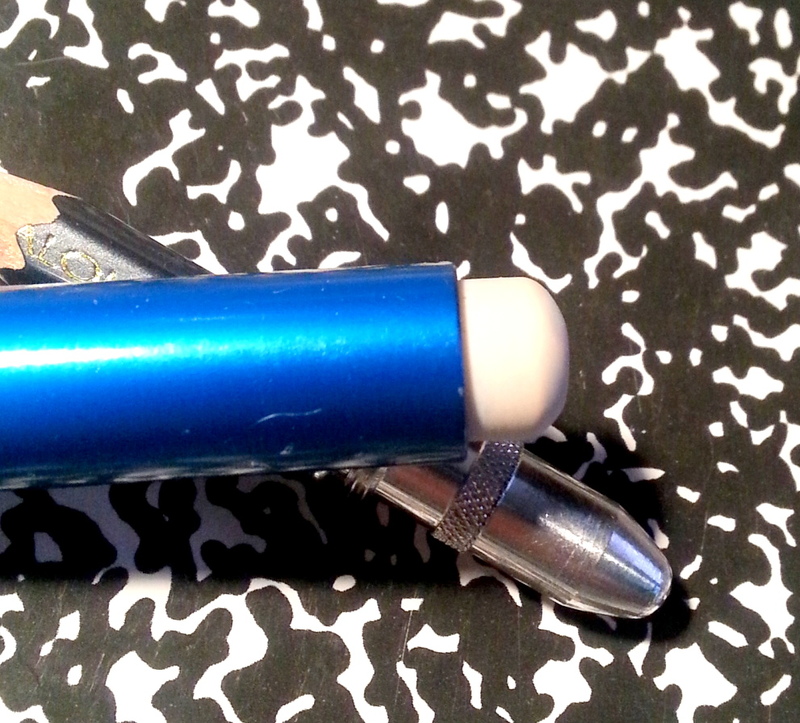 On the flip side of the pencil is the bullet that hold the pencil. This also utilizes a thread to hold any pencil firmly. 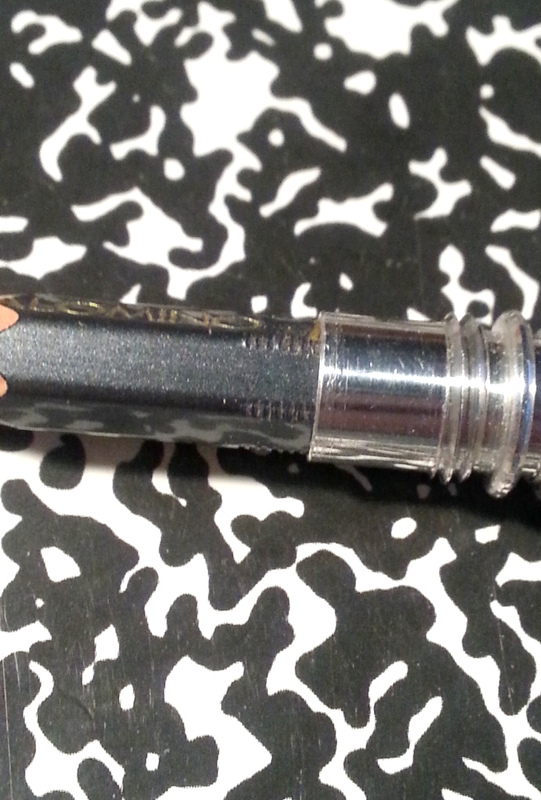 It arrived with a Blackwing 602 inside, held in very tightly. I tested out my spare tip with a Tombow 8900 and it worked just as well. I’m hoping to test out a bunch of pencils in this thing. The great thing about this tip is that it holds about a half inch of extra pencil screwed into it, so as you use up your pencil, you can unscrew it to get at the “spare” pencil hidden inside. The threads hold the pencil secure as you write. 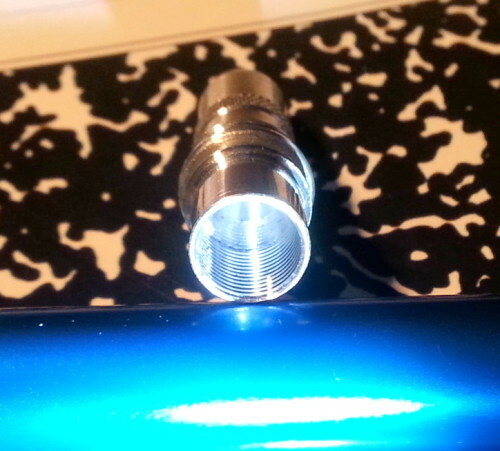 The bullet itself screws in and out of the body pretty smoothly. One of my tips can with some grittiness that soon smoothed off in use and by rubbing the threads with the end of a pencil nubbin. The threads are slightly sharp feeling, while they won’t cut me and I know that they’ll wear down with age, the sharpness is noticeable and irritating if I write more than a few lines. 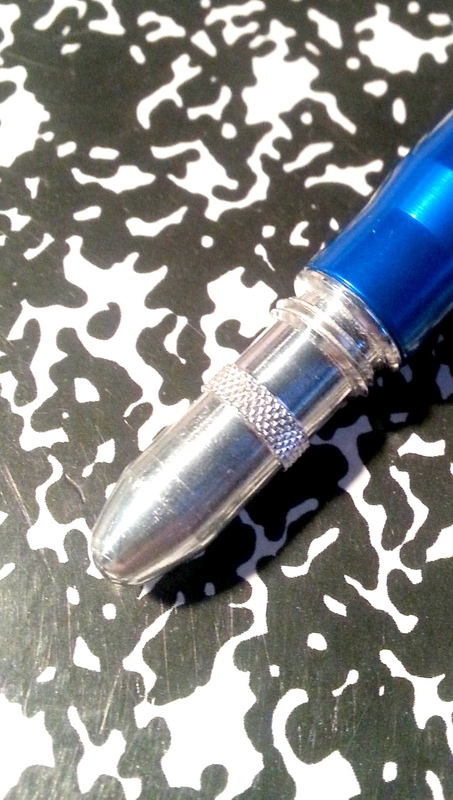 Because I was a Kickstarter backer I was able to get a second bullet tip at a reduced price. I picked a rounded and a pointed. I prefer the rounded to the pointed tip but that’s mainly a preference. I carry the second tip with a Pearl nubbin screwed in and capped with a General’s sav-a-point. This effectively allows me to carry a spare pencil safely just in case I wear my nubbin down to point where I can’t sharpen it easily*. There are other nubbin toting options, such as Randy’s great nubbin tins. They work great. 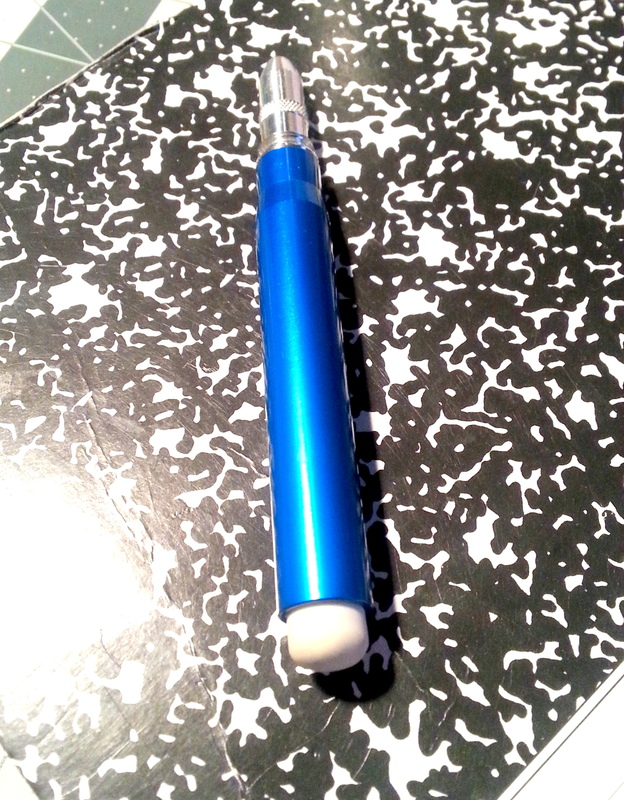 Anyway, if you can’t tell by now, this is a great bullet pencil that is super tough. While not a throw away advertising item like vintage BP it is a fantastic spin on the old tools, and one that works very very well. While vintage BP will always be a fun EDC item for me, this version is tough, stylish, and very functional**. *This has already happened once in my week+ of use. **When compares to the old versions, way over engineered, but that’s part of it’s charm. This entry was posted in Review and tagged backer, Bullet Pencil, huckleberry woodchuck, jon fontain, kickstarter, metal shop ct, metalshopct, twist on 20141223 by leslie.